Staten Island Women Who Preserve History, City Councilwoman Debi Rose, third from left, with honorees Elizabeth Meaders, Irma Bohorquez-Geisler, Juliana Hsu, Janet G. Robinson and Patricia Salmon. 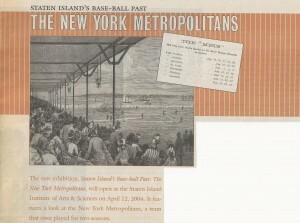 Staten Island Advance, March 29, 2011. 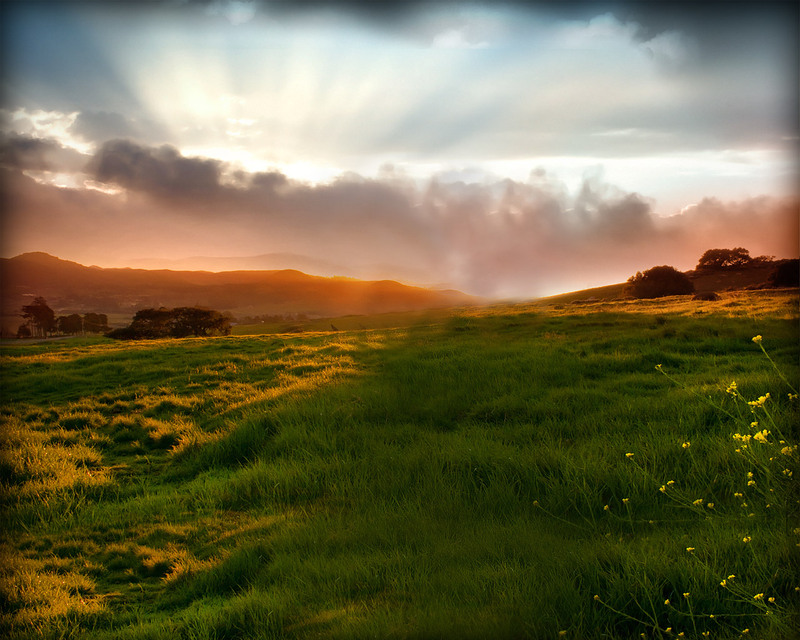 Photo by Hilton Flores. 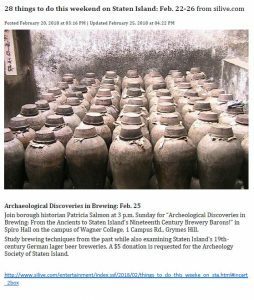 History of Beer Brewed on Staten Island Highlighted in New Book by Nicholas Rizzo, DNAinfo.com, March 20, 2016. 11 Cool Facts About Staten Island Historic Breweries by Lauren Steussy, Staten Island Advance, March 17, 2016. 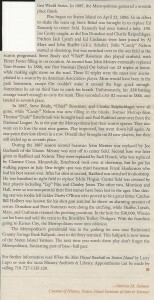 “28 things to do…” from silive.com, February 20, 2018. 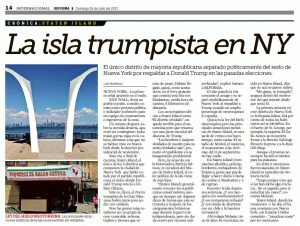 “La isla trumpista en NY,” from Reforma, July 16, 2017. Lunch With Friends – A benefit for the Staten Island Multiple Sclerosis organization. 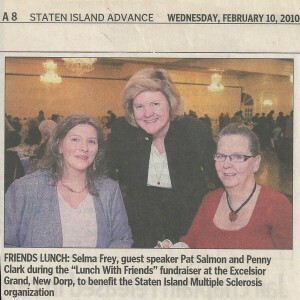 Selma Frey, Pat Salmon, and Penny Clark. 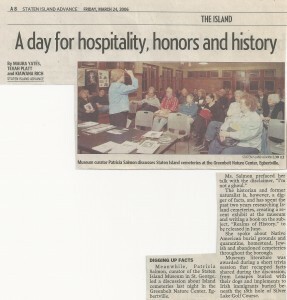 Staten Island Advance, February 10, 2010. A presentation on Realms of History: The Cemeteries of Staten Island at the Greenbelt Nature Center, March 23, 2006. 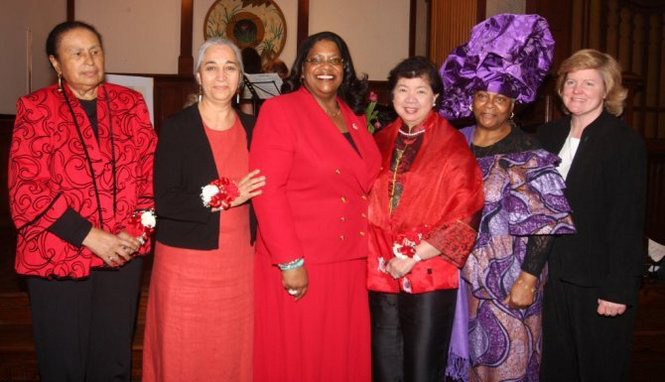 Photo by Jin Lee, Staten Island Advance, March 24, 2006. 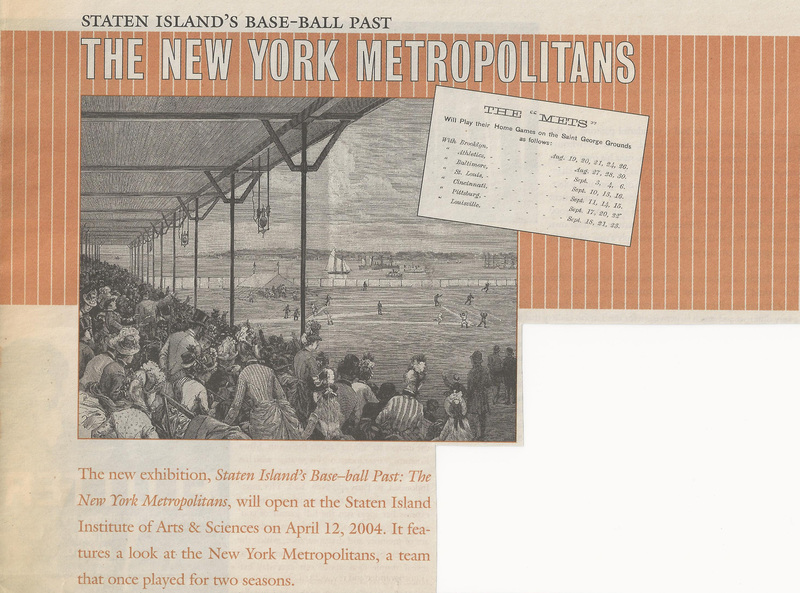 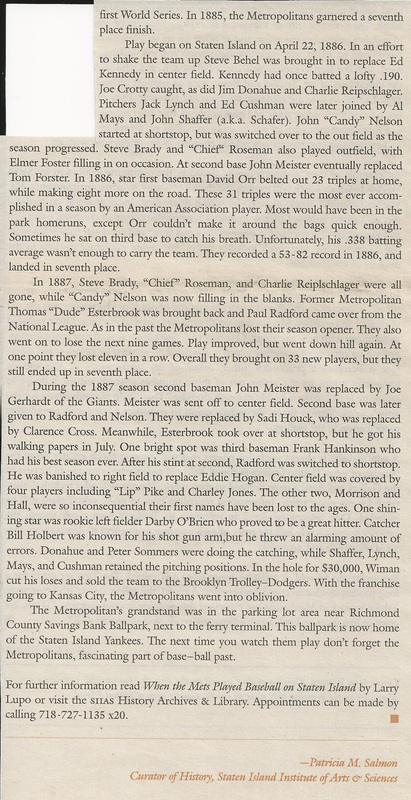 Staten Island’s Base-ball Past by Patricia M. Salmon. 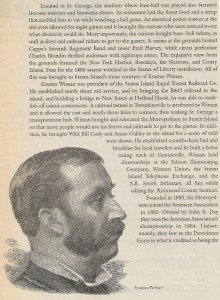 From COAHSI Arts & Letters, March and April 2004.